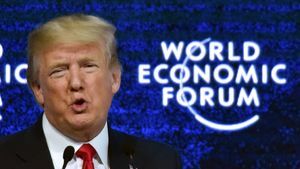 As the great and the good congregate in a Swiss ski resort, the BBC's Joe Miller explains what goes on at the annual World Economic Forum. 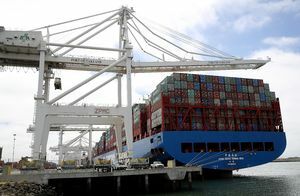 European officials said that G20 nations had agreed to commit to reforming the World Trade Organization in a preliminary draft of the communique due to be released at the end of a two-day meeting of... the bloc on Saturday. 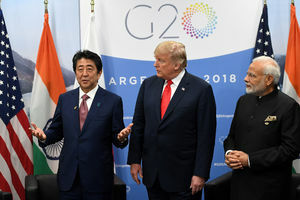 China and the United States can reach a trade agreement at the G20 meeting in Argentina this week, the state-run China Daily newspaper said in an editorial on Friday, but Washington must be "fair... minded" if it wants to defuse spiraling tensions. 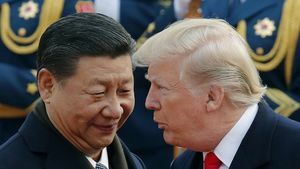 With world leaders set to soon meet in Argentina for the G20 summit, a meeting on the sidelines between Xi Jinping and Donald Trump should steal the show. 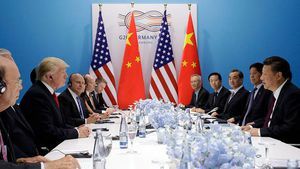 The United States sought to woo Europe and Japan with free trade deals on Saturday to gain leverage in an escalating tariff war with China but its overtures faced stiff resistance from France at a G20... finance ministers meeting dominated by trade tensions. German politicians call for Europe-wide extremism database as minister says events highlight 'leftwing scene's readiness to use violence' Allies of the German chancellor, Angela Merkel, have called... for new curbs on leftwing extremists, including a Europe-wide register, after her decision to hold the G20 world leaders' summit in Hamburg ended in violent clashes and injuries to nearly 500 police officers. The cost of the damage has not yet been established but is expected to run into millions. Merkel, who faces a parliamentary election on 24 September, has said that Hamburg residents who suffered damage will be properly compensated. The US president lauded the summit - despite his country's isolated position on climate change. Residents of Hamburg were told that hosting the G20 summit would help promote their city to a worldwide audience, but locals say the violence wrought by thousands of angry protesters has damaged the... German city's reputation. Demonstrators took to the streets of Hamburg to protest the meeting of world leaders. 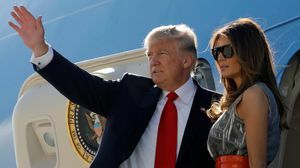 Wrapping up his second European tour, U.S. President Donald Trump and Asian allies searched for consensus Saturday on how to counter what the president called the "menace" of North Korea after its... test-launch of an intercontinental ballistic missile. 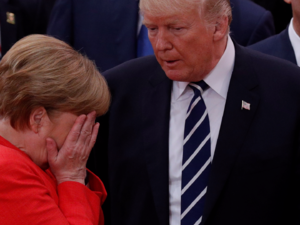 German Chancellor Angela Merkel closed the G20 summit in Hamburg with a rebuke to US President Donald Trump's stance on climate change, but appeared to make a concession on his protectionist trade... policies. 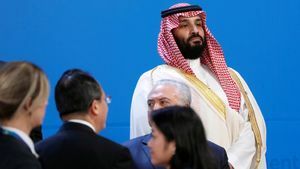 An eclectic and international mix of demonstrators peacefully tramped through the streets of Hamburg on Saturday, a show of anti-capitalist muscle in earshot of the world's top leaders who were... finishing up at the G20 summit. 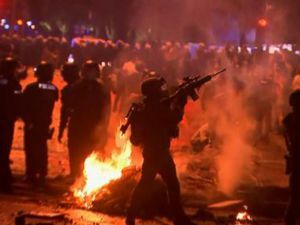 Anti-globalization activists have rioted for a second night as Hamburg hosts the Group of 20 leaders, setting up street barricades, looting supermarkets and attacking police with slingshots and petrol... bombs. Prime minister will meet Donald Trump and other leaders to discuss UK's trade position after it leaves the EU Theresa May will meet Donald Trump on Saturday as part of a series of bilateral meetings... with leaders at the G20 summit in Hamburg aimed at boosting the UK's trade position after it leaves the European Union. A UK official said that the meeting with Trump on Saturday morning would also see a focus on "progress with a post Brexit US-UK trade agreement". Theresa May will attempt to sell the idea of a trade deal with post-Brexit Britain to Donald Trump as the G20 summit moves into its second day. 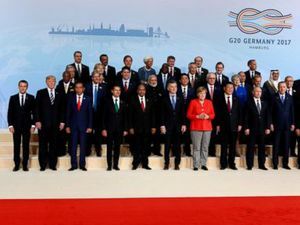 German leader Angela Merkel takes center in the photo.